There is a battle going on in college boxing, only the combatants are not boxers and it’s not punches that they’re trading. A few months back, I wrote a piece covering the University of Washington boxing squad and mentioned their sanction under the National Collegiate Boxing Association (NCBA), the first organization to reinstate boxing into college since its removal from the NCAA in 1966. 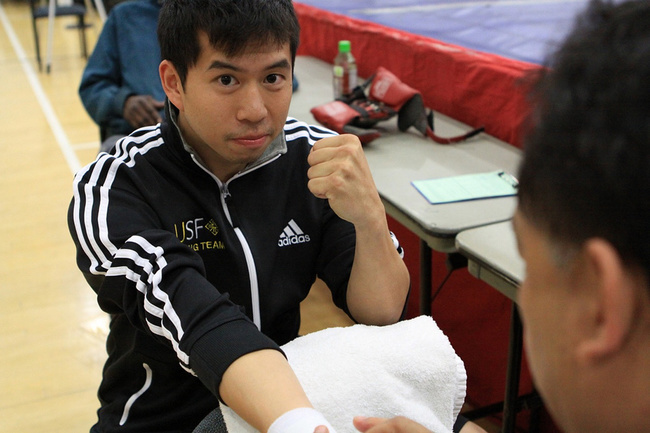 Soon after, one of the founding members of the United States Intercollegiate Boxing Association (USIBA) reached out to ensure our readers knew that there was indeed another organization on the college boxing scene, and that they’re on a mission to reform how the sport had been carried out for nearly the last four decades. 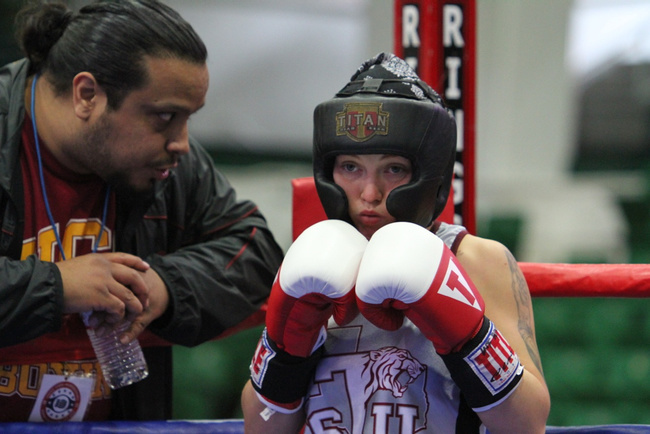 The USIBA formed in 2012 under a collaborative effort of coaches looking to make changes in the sport of college boxing. At the center of that movement is Luke Runion, a former NCBA coach and boxer who also medaled at the USA Nationals during his amateur career, and later went on to establish a fight club at the University of Maryland. Because of his accomplishments in the amateurs, Runion often sat on many of the sport’s advisory councils and it was here he began taking issue with how it was being run at the college level. For those unfamiliar, amateur boxing in the United States is sanctioned by USA Boxing, and under its rules, a competitor with more than 10 bouts is considered an “Open” fighter while those with less are classified as “Novice”, with both divisions holding their respective championships. The idea behind the distinction is to ensure that boxers are matched fairly in the ring. 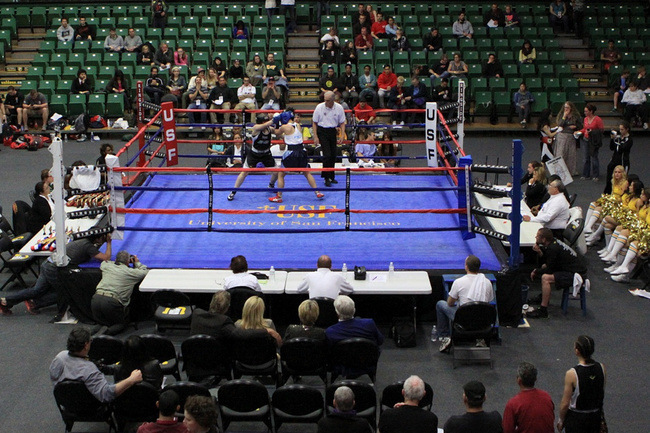 The USIBA adds an additional “Beginner” class to further lessen the gap in bouts disparities. When I mentioned the matter to the NCBA, their response was that the divisions weren’t necessary since their eligibility terms limit the number of bouts a boxer is allowed to have in the first place. According to Runion, academy boxers win about 75% of the NCBA championships, a statistic that matches closely with one published in a New York Times article covering the same matter. Runion attributed the imbalance to the loophole in unrecorded bouts. NCBA president Ken Cooper, on the other hand, attributed the dominance of the military academies to their combatives program and dedication from their student-athletes. According to its website, the USIBA has amassed a 34-team following since its inception, compared to the 32 teams listed by the NCBA who formed in 1976. It is perhaps telling that such a large number of teams have formed under the USIBA within only three years of operation, though I can’t say for sure whether that number is due strictly to operational differences between the two organizations, or if the process of forming under one organization is more fitting for certain colleges than the other. At least in the case of the West Point women’s boxing team, it was the way in which the USIBA ran their tournaments that influenced their choice, despite the men’s team being sanctioned under the NCBA. The other major issue differentiating the two organizations is the state of women’s boxing. 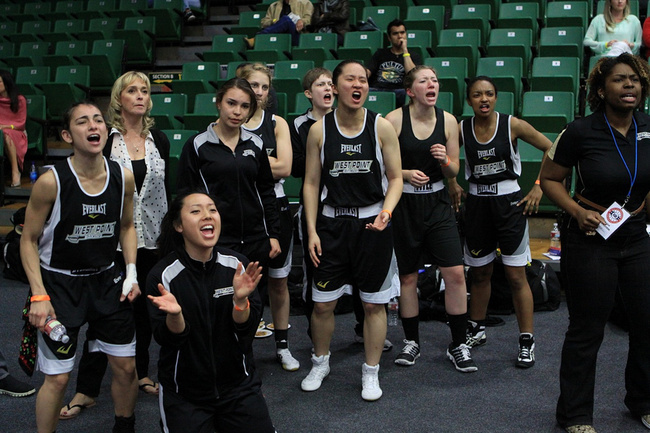 USIBA first began offering national women’s championships at the inception of their organization. The NCBA didn’t hold nationals until 2014, though did have women championships at their regional tournaments much earlier. For Runion, however, only having the regional championships was part of the problem. Runion claimed that the absence of a national women’s tournament at the NCBA was attributed to behind-door attitudes disapproving of women participating in the sport of boxing, as well as an overall lack of effort to get the tournaments formally organized. According to the NCBA, it was participation levels that prevented the bouts from happening. With no way to verify what was actually said during those meetings, it is difficult to determine the real reason behind why it took the NCBA so long to finally hold national women’s tournaments, though the USIBA’s ability to hold national women’s tournaments early in their formation is an interesting point to consider. And there is a strategic thinking behind the USIBA’s focus on women’s boxing. 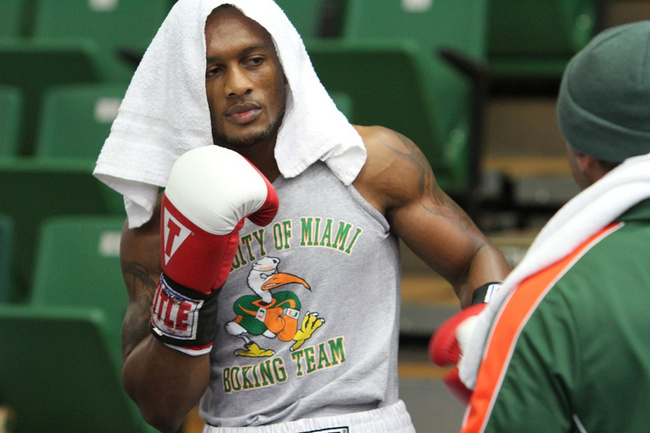 Runion calls it the “Ladies First” approach to reinstating college boxing into the NCAA. The idea is that reaching an NCAA status would allow for the possibility of scholarships for boxing to both ease the burden of the rigorous training regime to current student-athletes, and to recruit top boxers competing in the broader amateur circuit. The hope is that bringing in better talent will lead to more competitive matches and return the sport to its heyday of packing stadiums with tens of thousands of spectators compared to maybe the few hundred it draws now. The NCBA had a different view on the matter. The “danger” Buller is referring to is the same danger seen in other NCAA sports, things like bribes, betting, or putting a student’s athletic performance before their academic one. Drawing more interest into the sport inevitably means generating more money, and any time money is involved, things get complicated. Between the two, splitting fighters up into three different divisions does seem to be the more logical way to ensure safety and fair competition since the bout limitation rule for the NCBA does not appear to apply for college sanctioned bouts. It also allows for more experienced boxers to have a chance at competing in the college ranks, which would lead to more competitive and exciting bouts. But it should also be noted that more divisions means more bouts, which means more management and more planning – a difficult task for an organization primarily staffed by volunteers – so the limitation could be more logistical than anything else. However at least from a theoretical standpoint, I say the USIBA takes this round. Without any hard evidence that the NCBA held back women’s national championships due to antiquated attitudes towards women, low participation rates could very well have been their reason for the delayed induction. 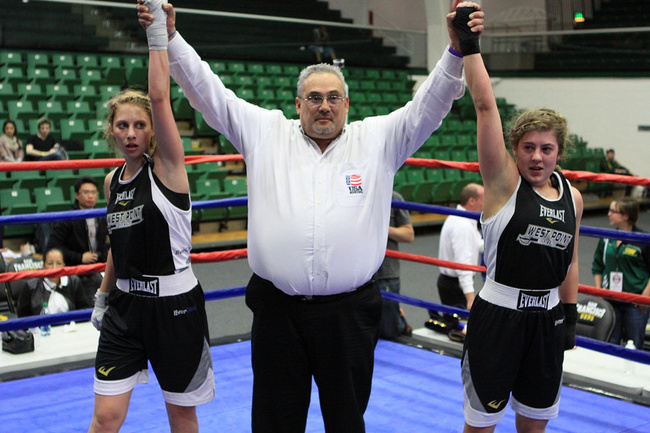 And to its credit, the NCBA does now hold women’s championships at their national tournaments, though it should be mentioned that the NCBA only offers bouts in 5 weight classes while the USIBA offers them in 10, matching that of USA Boxing. While lower participation rates do make it challenging to hold tournaments (sometimes there are only two fighters in a championship bracket), I give this round to the USIBA for leading the effort on the issue. On the one hand, reaching an NCAA status will allow the possibility of granting accomplished amateurs a chance to go to college and for better fights. That’s a win on two accounts. On the other, popularizing college boxing to something like NCAA football or basketball, does introduce some elements that may take away from the focus of pure athletic competition, and that can be dangerous in a sport like boxing. It’s important to remember that the whole reason the NCAA dropped the sport in the first place was because Charlie Mohr lost his life in the ring. I call this round even. So which organization has the better approach? Based on this writer’s investigation, the USIBA is slightly ahead, though admittedly, the issues mentioned here probably only scratch the surface of an abyss of issues to consider. It also depends on how one believes college boxing should look and where it should be headed. But it’s important to see how these decisions can ripple through the larger landscape of a sport, and for anyone who has ever shown interest in college boxing, this is a small slice of what’s going on.